Looking for a German Shepherd Rescue VA area? Virginia German Shepherd Rescue is a non profit organization that rescues, rehabilitates and rehomes German Shepherds in Virginia, Maryland and Washington, DC. Located in Sterling, VA, this organization has been around for over seven years and has since placed 2,400 plus GSDs. They rescue shelter dogs, as well as those surrendered by their owners due to divorce, illness, moves or divorce. Funded by adoption fees and private donations, this German Shepherd dog rescue organization relies on the dedication of foster families to care for each dog prior to placement. This allows dogs that require rehabilitation from abuse or neglect to spend time in a loving home environment. And it gives volunteers the opportunity to become familiar with each dog individually, so that they can be matched with the best forever home. Sadly, for many of these dogs, the foster environment is their first opportunity to receive love, attention and proper medical care. Foster parents spend a lot of time socializing and nurturing each GSD to bring out their potential. Prior to adoption, all foster dogs receive the necessary shots, are spayed and neutered, and microchipped, unless the dog is of advanced age or has medical limitations. Each potential adopter is carefully screened to make sure they can provide a suitable home. And to ensure they can meet the special needs of a rescue dog. If you'd like to adopt from German Shepherd Rescue VA, fill out the appropriate German Shepherd adoption form. There are also forms for foster and volunteer opportunities. German Shepherd Rescue Virginia is seeking foster homes all over Virginia, particularly in the Tidewater area. If you can provide a temporary home for a deserving German Shepherd, please contact them as soon possible. Take a look at their available dogs and adopt a German Shepherd. 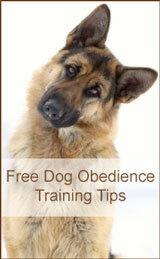 Virginia German Shepherd Rescue, Inc.